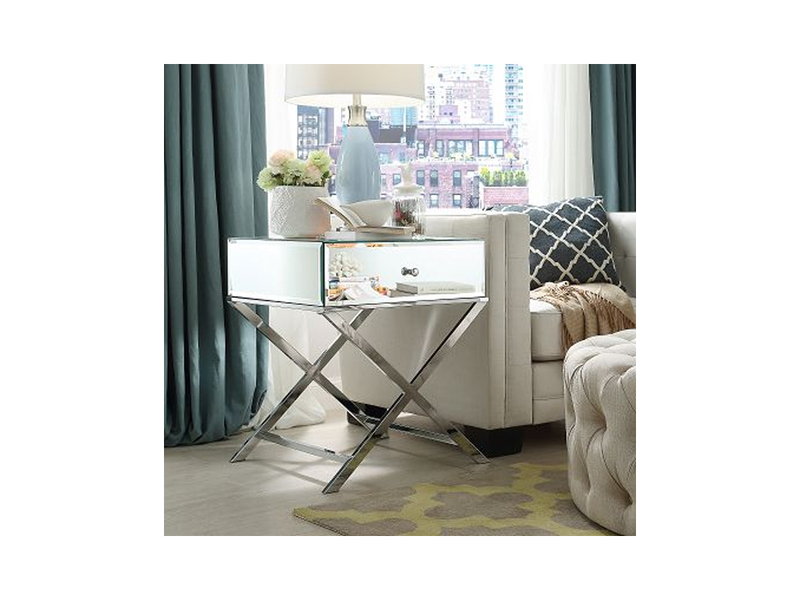 Simple and unique, this gorgeous mirrored Paris Side Table is a statement piece that will bring contemporary style to your space! All sides are mirrored for maximum shine. 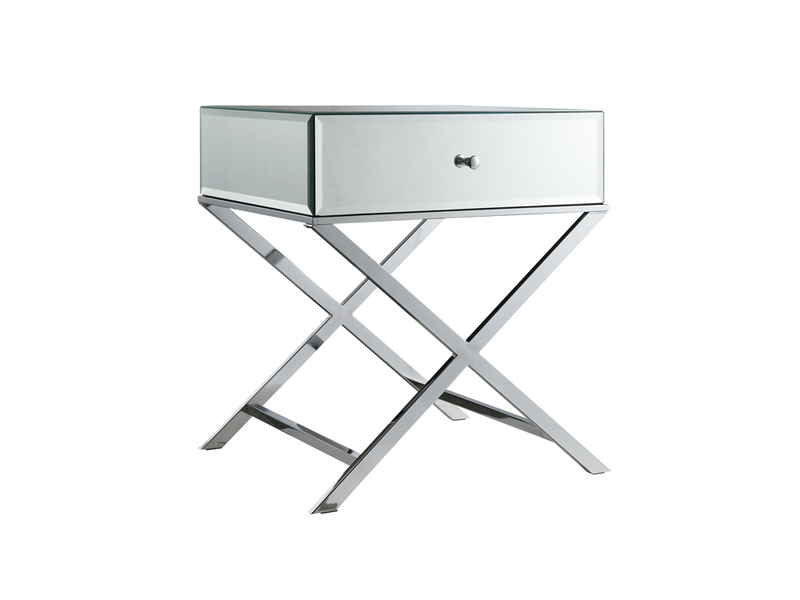 The criss-cross legs provide stability and elegance. This piece can be used as a side table or a nightstand and pairs easily with an array of table lamps.